Breathtaking Geometric Vintage Moroccan Rug, Country of Origin / Rug Type: Morocco, Circa Date: Mid – 20th Century – This beautiful vintage shag pile Moroccan rug was crafted in the mid 20th century. Its beautiful flowing colors and lines have an abstract quality that makes it appear to be a watercolor painting. 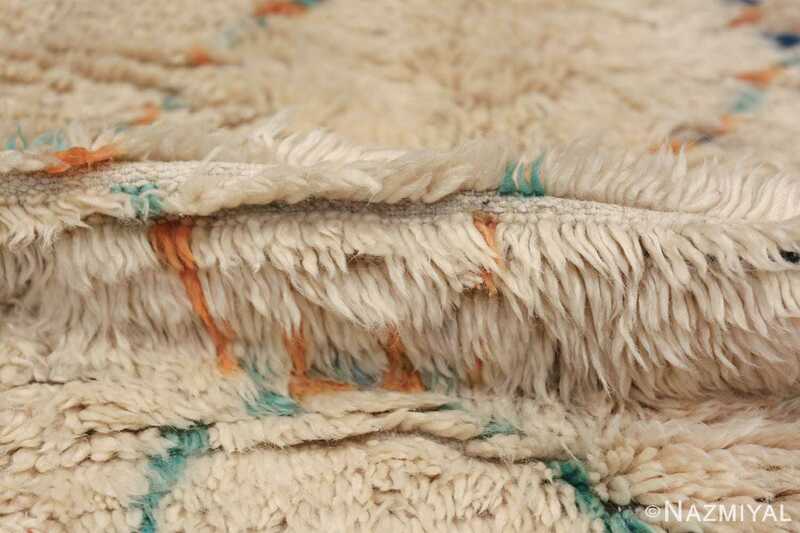 It is as if someone dripped watercolor paint and allowed it to run in rivers that flow and interconnect along the way, giving the rug an organic quality as if nature produced it herself. 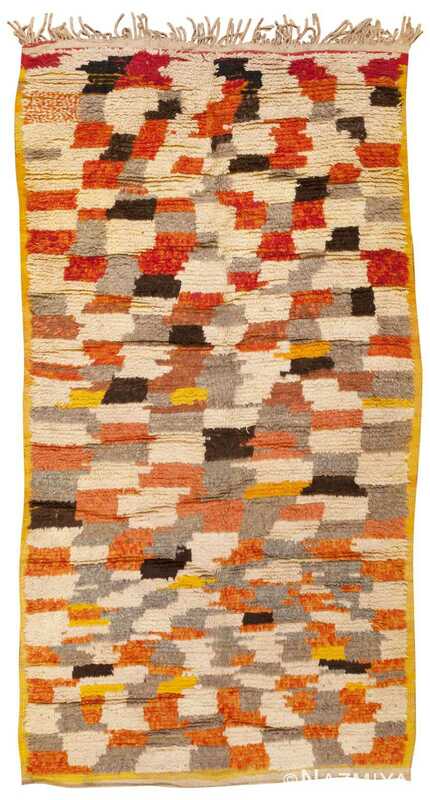 The weavers of the vintage Moroccan Berber carpets were known for their use of simple lines, abstract forms, and sparing use of color. 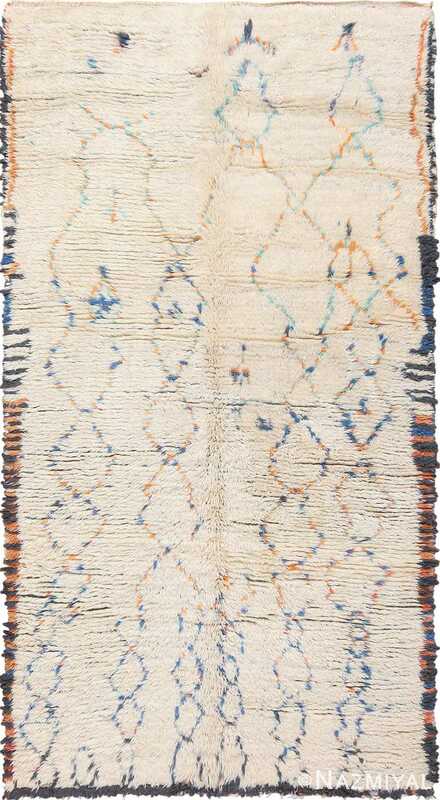 This vintage Moroccan rug has no discernible vertical or horizontal symmetry, but it is directional. 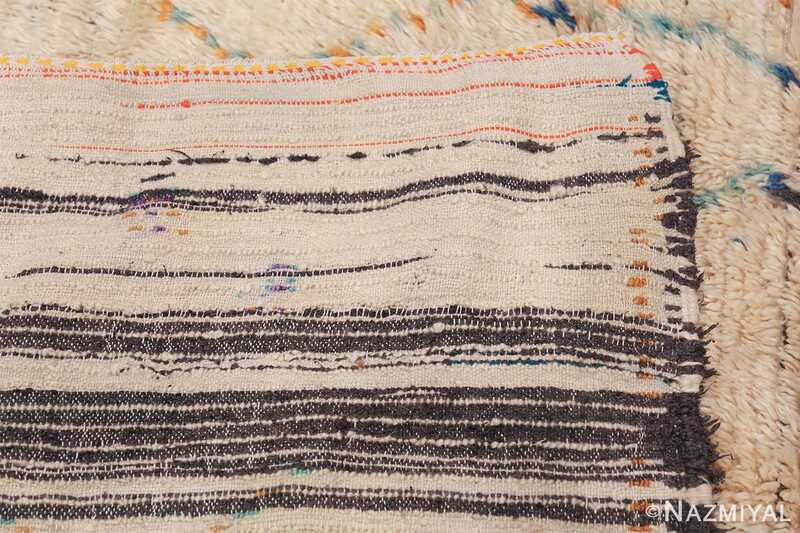 However, it could be placed in either direction. 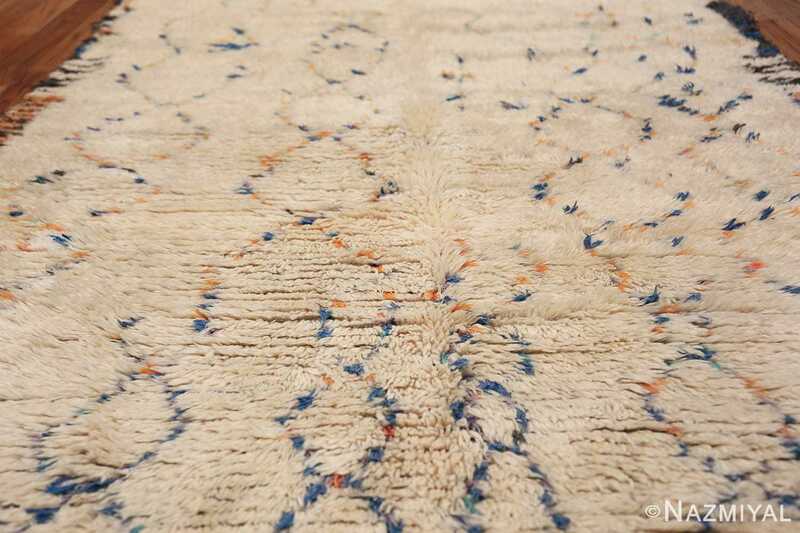 The bottom of this beautiful vintage rug is denser than the top in terms of design. 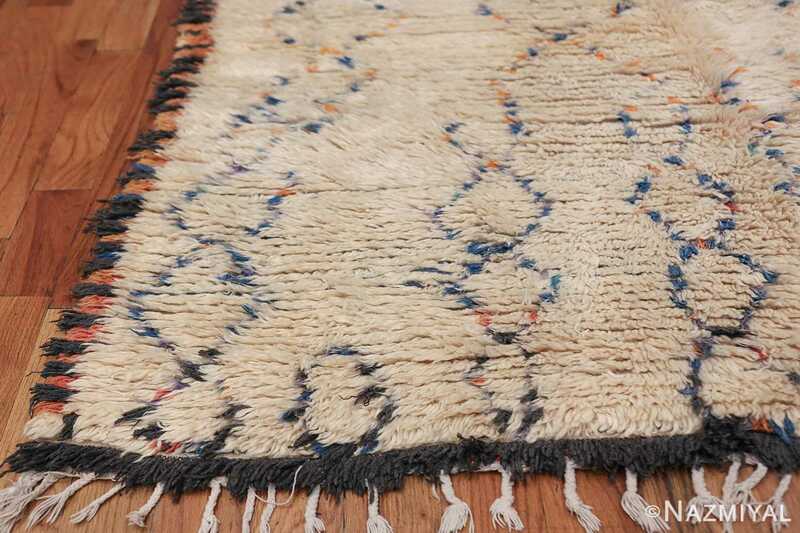 A formal border defines the lower part of this rug from Morocco but dissolves into a thin line towards the top. 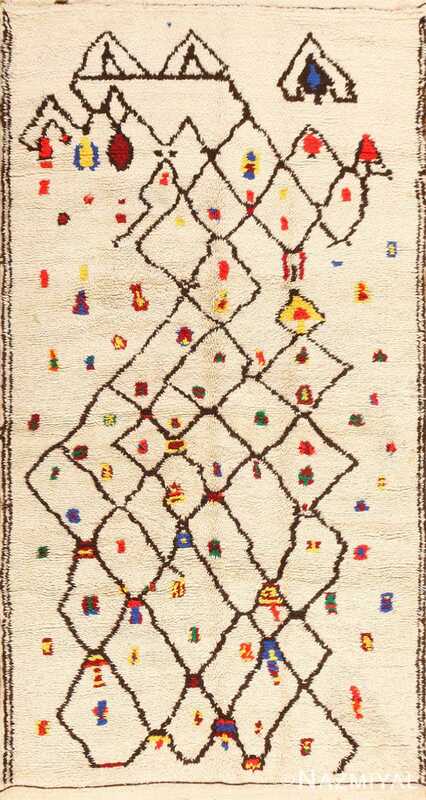 This geometric vintage Moroccan rug has many fascinating elements to look at and three distinct sections where the design appears to change. The Moroccan Berber rug weavers used special symbolism to tell the stories of their lives. 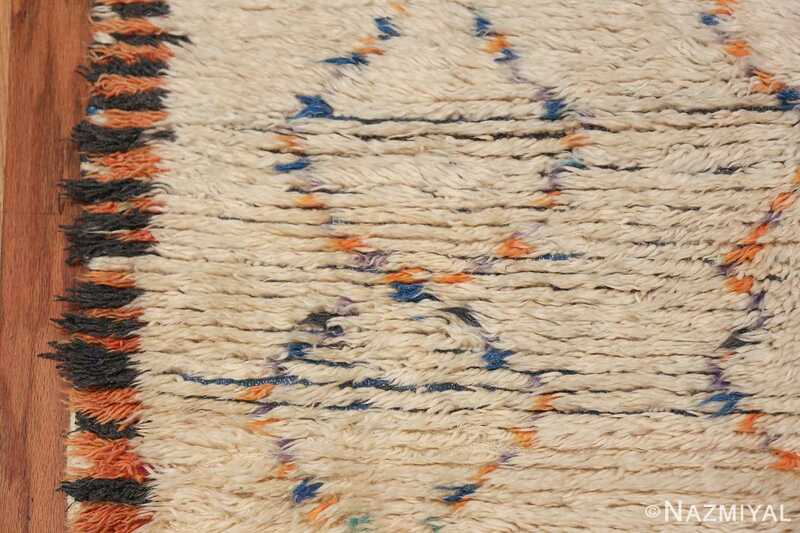 When viewed in this context, one must wonder what changes in life the weaver wished to convey. Even though no one will ever know, this only serves to make the rug more beautiful and treasured because it represents a very special and personal object to the creator. 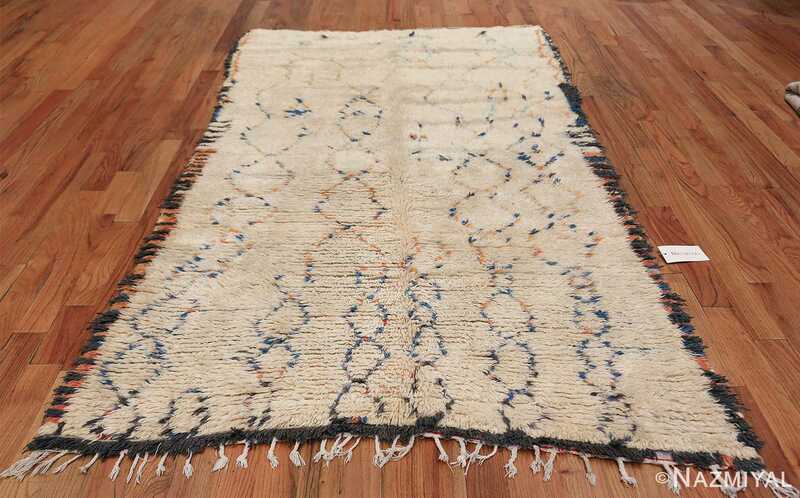 This Moroccan vintage rug would look beautiful in any contemporary design that requires an abstract piece with a primitive hand-drawn quality. The design of the rug stands on its own is a work of art and object of beauty, but it becomes even more special when you know the story behind it. 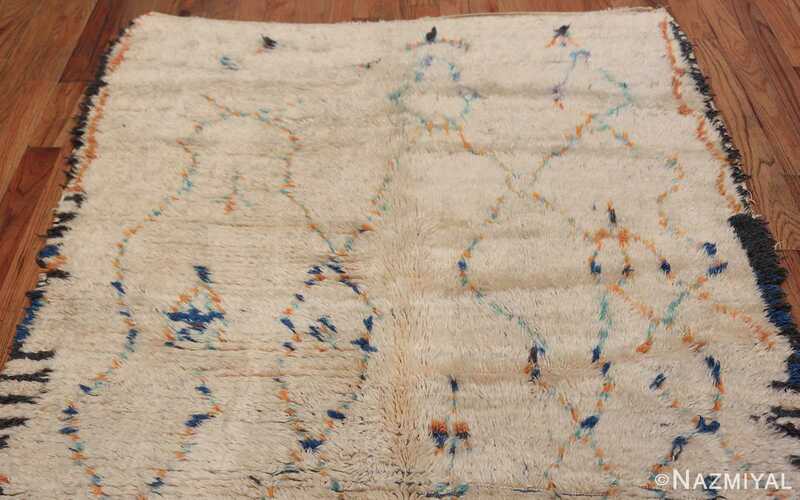 The design of this Moroccan rug is versatile and will complicate any home or office space that needs a unique organic abstract piece. 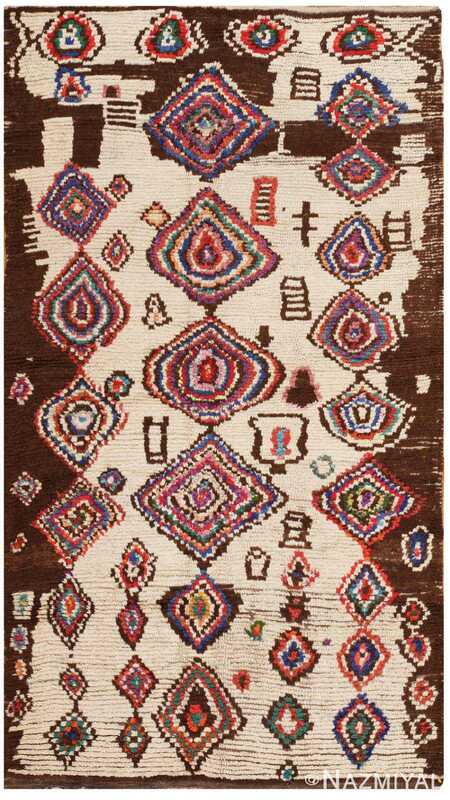 This mystical vintage Moroccan rug depicts a lively bohemian composition decorated with radiant eye motifs, colorful glyphs and an assortment of protective symbols. 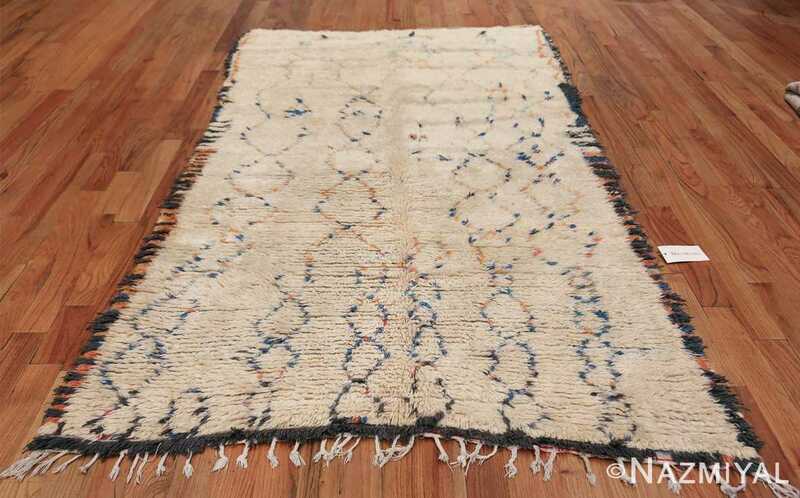 Colorful mid century modern vintage rug from Morocco that features phenomenal series of monochromatic checkers that take on a motley patchwork appearance.